﻿ Best Price on South Beach Hotel Breakfast Incl. - by Ocean Hotels in Christ Church + Reviews! South Beach Hotel is located in front of Accra Beach in the south coast of Barbados and 0.6 mi from the Graeme Hall Nature Sanctuary. It features an outdoor swimming pool and a 24-hour front desk. The air-conditioned rooms feature modern-décor, seating area, safety box and cable TV with DVD player. The balconies have patio, pool or sea views. 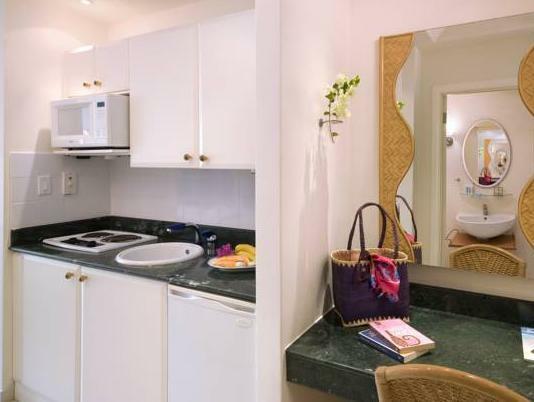 The bathrooms are private with shower, hairdryer and free toiletries, while the granite kitchens are fully equipped. The South Beach Restaurant & Cocktail Lounge offers daily breakfast, lunch and dinner. Dine indoors or al fresco and enjoy poolside drink service. Plenty of restaurants, night clubs, bars and cafes are just 328 feet from South Beach Hotel. The guests can enjoy a walk over the seafront; can arrange activities at the on-site tour desk and relax at the furnished sun terrace. 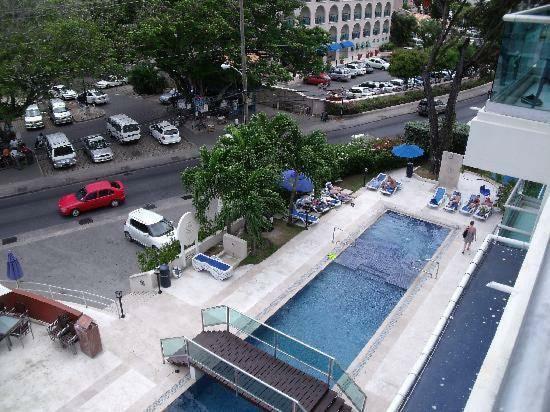 South Beach Hotel is 2625 feet from Worthing Beach and a 15 minute drive from Grantley Adams International Airport. Upon check-in photo identification and credit card is required. All special requests are subject to availability upon check-in. Special requests cannot be guaranteed and may incur additional charges. A $25 USD processing fee will be applied to all credit card refunds Refunds are not offered for no-shows or early checkouts. Should guests leave the resort prior to their original departure date, the charge will be 3 unused nights, in addition to the nights already utilized. Credit card holder should be present at check-in. Please note that the Government Fee may vary according to each room type (The fees for the Two-Bedroom, Three-Bedroom and Four-Bedroom Suites are calculated per bedroom) and are not included in the price per night. Property will inform accordingly for more details once the reservation is confirmed. Please inform South Beach Hotel Breakfast Incl. - by Ocean Hotels of your expected arrival time in advance. You can use the Special Requests box when booking, or contact the property directly using the contact details in your confirmation. Guests are required to show a photo ID and credit card upon check-in. Please note that all Special Requests are subject to availability and additional charges may apply.